2030: Planet earth is almost collapsing because of overpopulation; resources are not longer enough to feed everyone. Norwegian zoologist and veterinarian Karl Iver Lyngvin is headhunted to CORAC, a research station in Congo´s rainforest where twenty other researchers engaged in studies on how the rainforest flora and fauna is affected by climate change. Along with the young Australian entomologist Zoe Wildt, Karl Iver has an experience leading to dramatic consequences. Not only for Karl Iver and Zoe, but for the entire planet’s future. A virus; «Chimera» is discovered; a dangerous weapon that is powerful enough to kill millions. In Gert Nygårdshaugs novel «Chimera», indisputable facts and the author’s meticulous research has created suspense that is highly relevant. Chimera is a classic Nygårdshaug novel with strong thriller elements and with a topic that already in the near future could be grimly applicable. 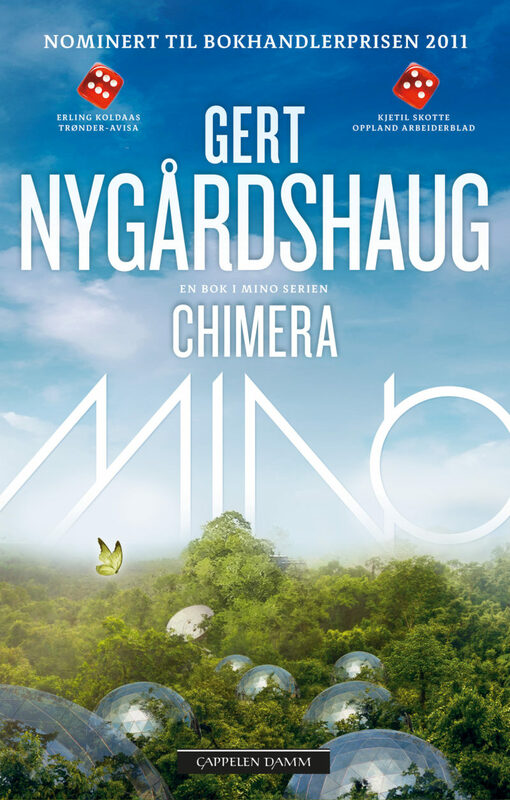 Chimera is book four in Nygårdshaug´s series of Eco-thrillers starting with “Mengele Zoo”. A pulsating story, with a good flow and excellent language.